A slim-fitting hip-length halter top with dainty straps, elastic back and contrast bib detail along the front neckline. Make out of swimsuit fabric and pair with the Basic Brief Bottoms to create a super cute tankini. 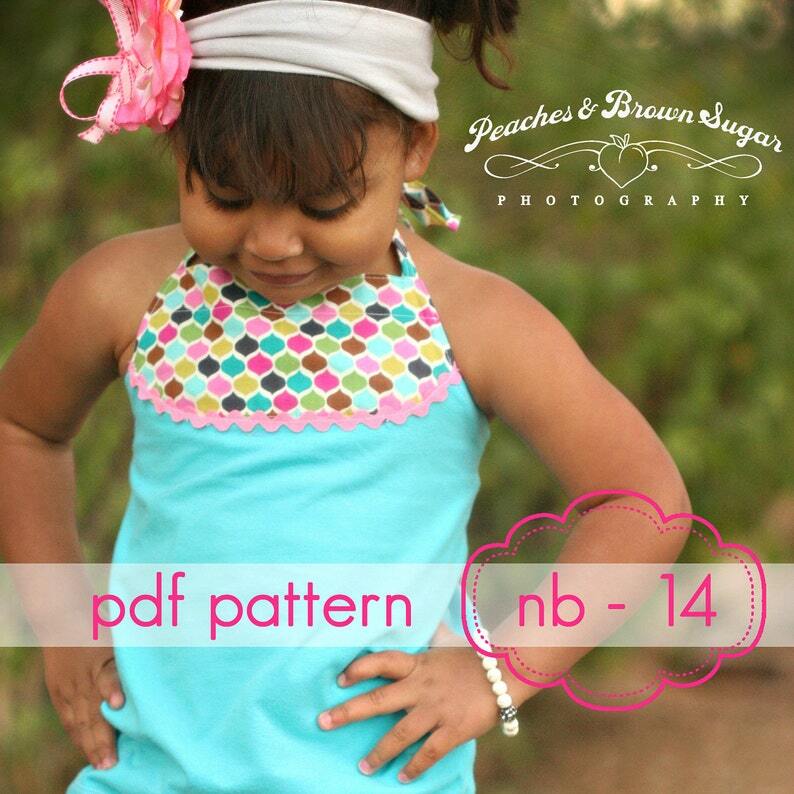 You will receive: ONE (1) pdf sewing pattern with 18 pages of step-by-step sewing instructions (20 steps and 38 color photos) and 2 or 3 pages of patterns to guide you along as you make a Sandcastle Halter.